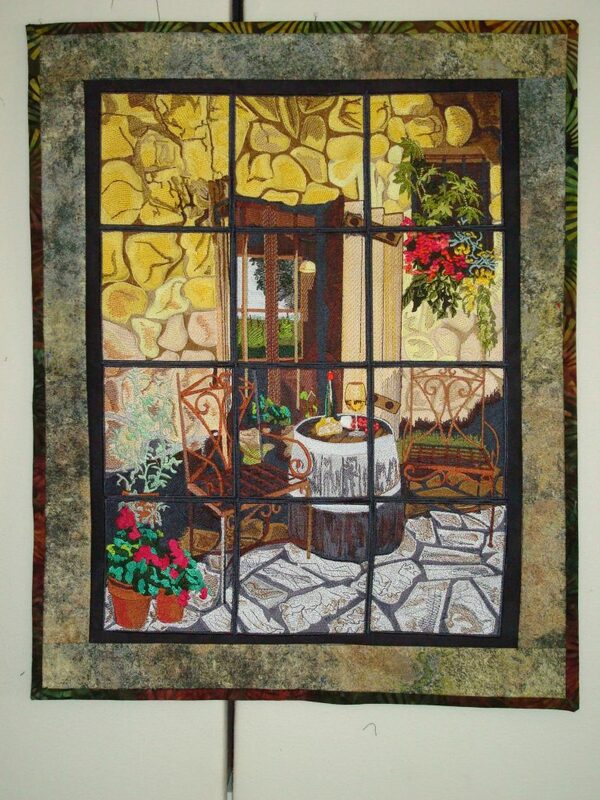 Linda stitched our Italian Windows of the World set. I loved creating these designs – made me want to be in far off places!!! I like the fabric Linda used around the picture – it looks like stone of some kind and continues the design. Framing can either be a continuation of your project or a way to separate and define it. Both give great effects!